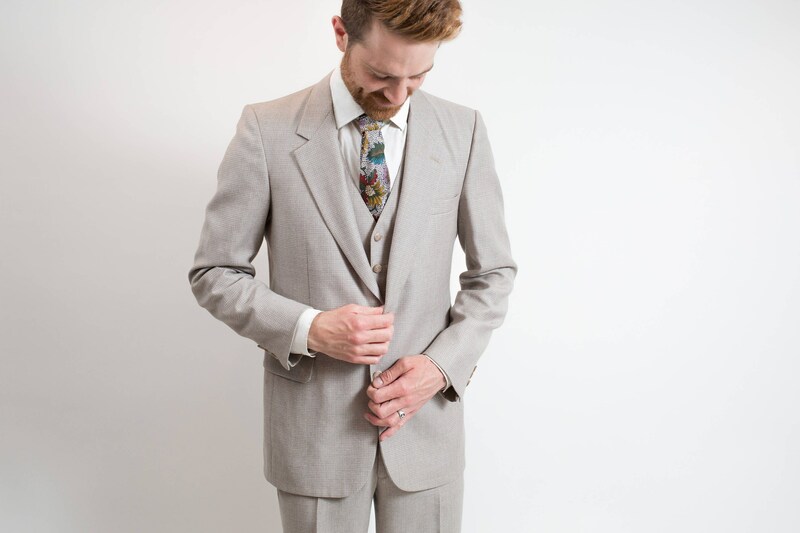 Vintage Men's Suit / 3-piece Wedding Groom Grey Wool Suit / Pants size 31-32, Jacket size 40. 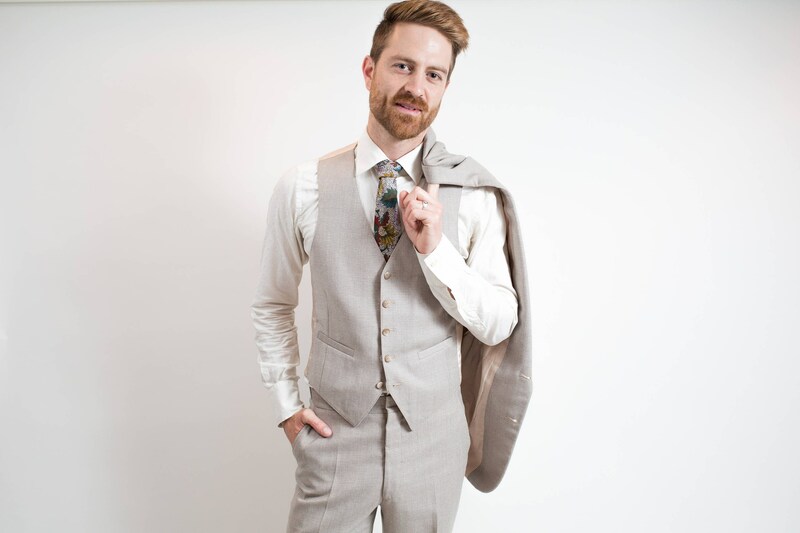 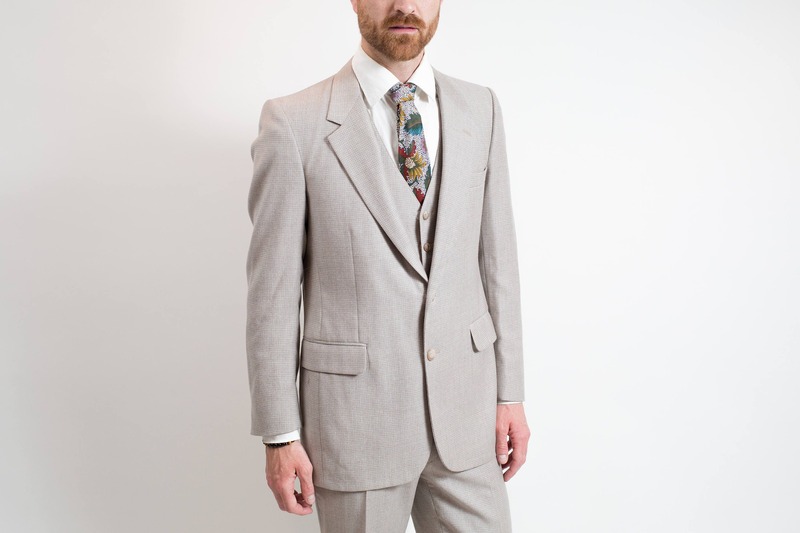 This is an excellent stylish 3-piece suit, perfect for the wedding groom or groomsmen. 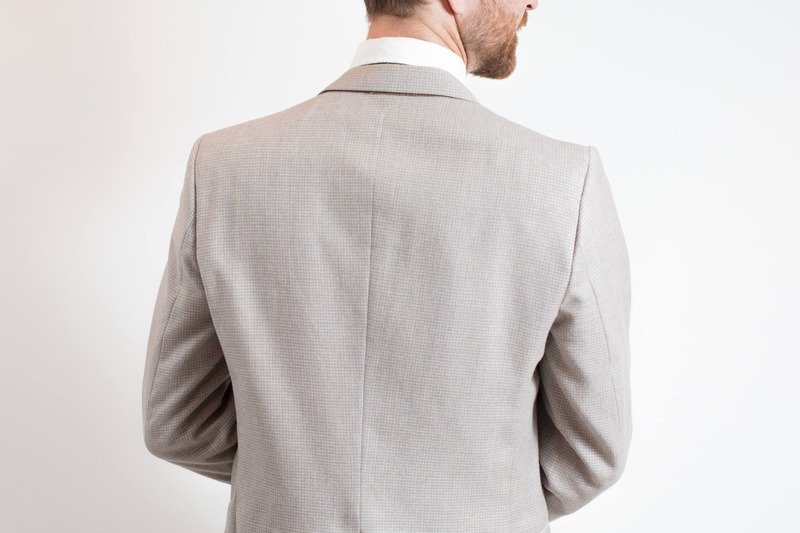 Features matching sports coat, vest and pants.